Smiling girl cleaning room with the dust brush. Kid doing a home cleanup. Creative blue card with place for text. Children helping parents concept. 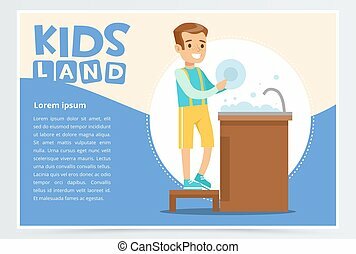 Colorful flat style cartoon vector illustration. 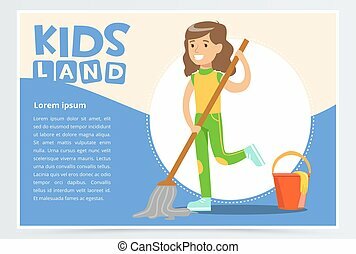 Blue card with text and smiling girl character cleaning the floor with mop. Kid doing home cleanup, household chores. Children helping parents concept. Colorful flat style cartoon vector illustration. 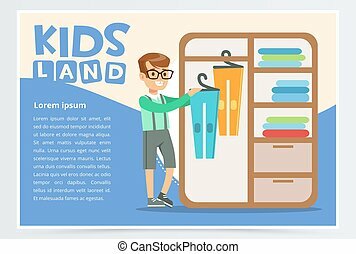 Blue card or poster with boy hangs clothes in the closet. Kid doing a home cleanup, household chores. Teenager cleaning his room. Children helping parents concept. Colorful flat style cartoon vector. 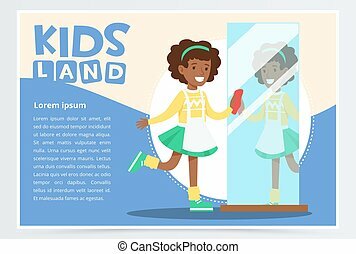 Blue card with smiling black girl with curly hair cleaning the mirror. Kid doing house cleanup, household chores. Home duties of the child. Colorful flat style cartoon vector character illustration. Teenager boy throwing away bin bags with trash. Kid doing household chores. Creative blue card with place for text. Children helping parents concept. 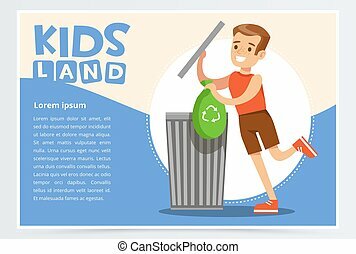 Colorful flat style cartoon vector illustration. 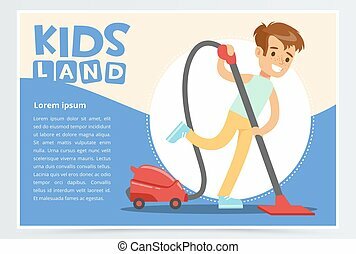 Blue card or poster with happy teenager boy cleaning the floor with vacuum cleaner. Kid doing home cleanup, household chores. Children helping parents. Colorful flat style cartoon vector illustration. Young smiling boy cleaning the floor with mop. Kid doing home cleanup, household chores. Teenager helping parents. Creative blue card with place for text. Colorful flat style cartoon vector character. 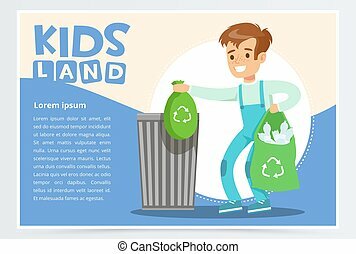 Blue card with boy throwing away bin bags filled with plastic bottles. Kid doing household chores. 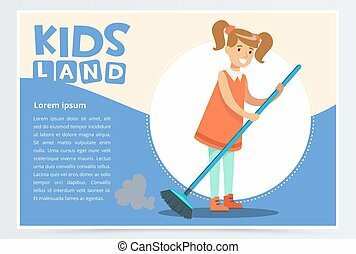 Children helping parents with housekeeping concept. 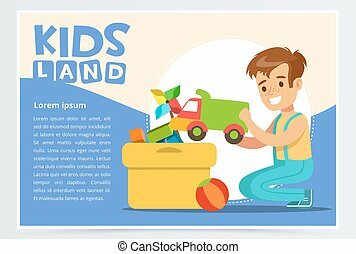 Colorful flat style cartoon vector illustration. Cute boy putting his toys in special box. Kid doing home cleanup, household chores. Teenager cleaning his room. Creative blue card with place for text. 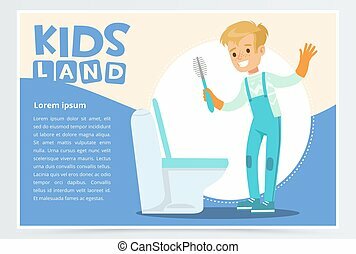 Colorful flat style cartoon vector illustration. 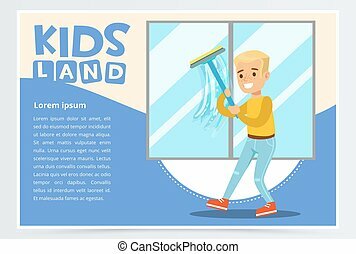 Blue card with young boy washing the window with wiper. Kid helping with housekeeping and doing house cleanup, household chores. Home duties of the child. Colorful flat style cartoon vector character. Smiling girl in red dress sweeping the floor. Kid helping with housekeeping and doing house cleanup. Home duties of the child. Creative blue card with place for text. Colorful flat cartoon vector. 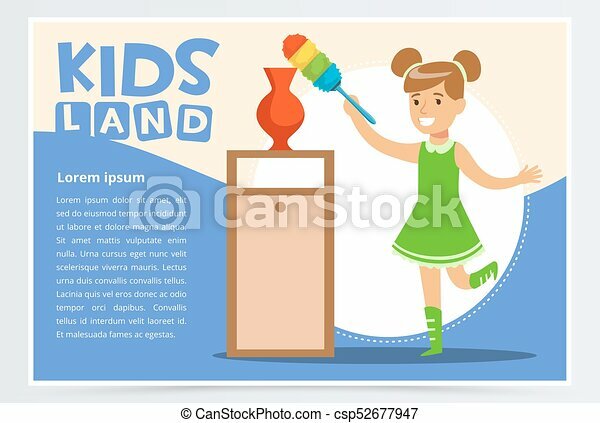 Cute teenager girl character watering flowers in vase. Kid helping with housekeeping and doing house cleanup. Creative blue card with place for text. Colorful flat style cartoon vector illustration. 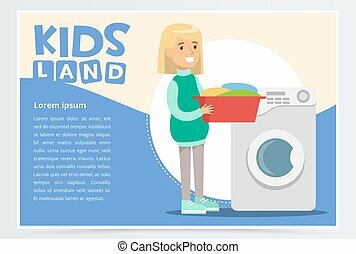 Blue card or poster with young girl standing with a basin with dirty laundry in hands near washing machine. Children doing household chores. Colorful flat style cartoon character vector illustration. 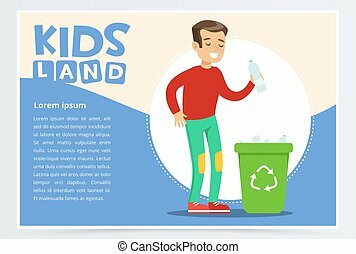 Teenager boy throwing away plastic bottle in waste container with recycling symbol. Creative blue card with place for text. Children helping parents concept. 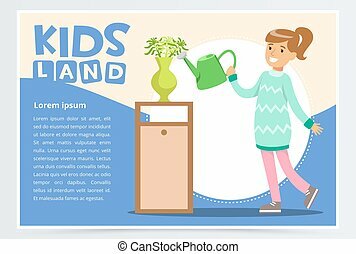 Colorful flat cartoon vector illustration.